Two months ago, the Consumer Financial Protection Bureau took the first steps in tackling issues within the student loan servicing arena by asking consumers and organizations to share their thoughts on the state of an industry that is tasked with recouping the more than $1.2 trillion in outstanding student loan debt in the U.S. Now, as the deadline to submit comments has come and gone, we know a bit more about just how the industry is perceived by those tasked with sticking up for consumers. 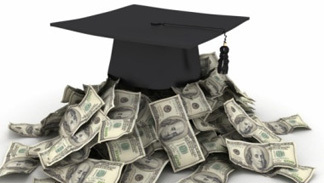 From employing inconsistent practices to disbursing confusing and sometimes misleading information about borrowers’ rights, consumer groups tell the CFPB that the student loan servicing industry is in urgent need of improvement and better oversight by regulators. Loan servicers are the companies that process loan payments and manage borrowers’ accounts. In most cases, it’s a third party that had nothing to do with issuing the loan but is now responsible for making sure it gets repaid. And while one might assume that loan servicing is a reasonably simple process –collect payments, post them to the account, adjust the balance accordingly, work with customers who are having trouble making payments — it isn’t. Over the past several years, many student loan borrowers have reported a wide variety of problems with their loan servicers. A 2013 report from Consumers Union included anecdotal claims of servicer incompetence, like the borrower who was being charged more than twice the interest rate he was supposed to pay. More recently, the CFPB found that some student loan servicers took part in several illegal and shady practices, including inflating borrowers’ minimum payments, making illegal collection calls and charging unlawful late fees.